After fitting the Galaxy Note 9 with a very respectable 4,000mAh battery last summer, recent rumors suggested Samsung’s Galaxy S10 series wouldn’t disappoint in the battery department either. But, as revealed by a certification listing in Brazil, consumers may need to lower their expectations a little. Starting things off with the larger Galaxy S10+, in recent times a large battery capacity of 4,100mAh has been rumored. In fact, reliable tipster Ice Universe was the one who first suggested this particular size. 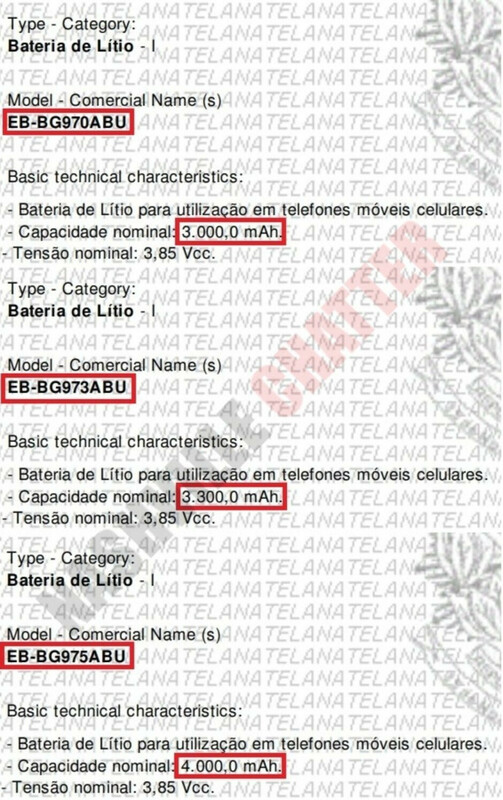 But according to the listing in Brazil, the smartphone’s battery, which goes by the model number EB-BG975ABU, will actually boast a capacity of 4,000mAh. Interestingly, this size coincides with initial rumors and, while it may be slightly smaller, it should still provide stellar battery performance when paired with the 6.4-inch AMOLED display found on the device. After all, the Galaxy S10+ is set to ship with Qualcomm’s efficient Snapdragon 855 in the US, while international markets will gain access to Samsung’s own Exynos 9820, itself also much more efficient than the chipsets found inside the Galaxy S9 series. Samsung’s largest 4G LTE-ready flagship is also rumored to include a whopping five cameras, a detail that recently-leaked live images have corroborated. This will include an impressive triple-camera setup on the rear and an extra two sensor contained within the display hole up front. If rumors are to be believed, the latter will include a regular camera and secondary Time-of-Flight sensor which should provide facial recognition. Moving on to the regular Galaxy S10, this smartphone should include a 6.1-inch AMOLED panel. Recent leaks suggested this display was going to be paired with a respectable 3,500mAh cell. According to today’s updated listings though, the Galaxy S10 will actually include a 3,300mAh battery that goes by the number EB-BG973ABU. If this figure is indeed accurate, the smartphone’s battery life should be more or less on par with that of last year’s Galaxy S9+. This device, for those of you that may not know, includes a larger 3,500mAh battery. However, it’s paired with a slightly bigger 6.2-inch display and a less efficient processor. 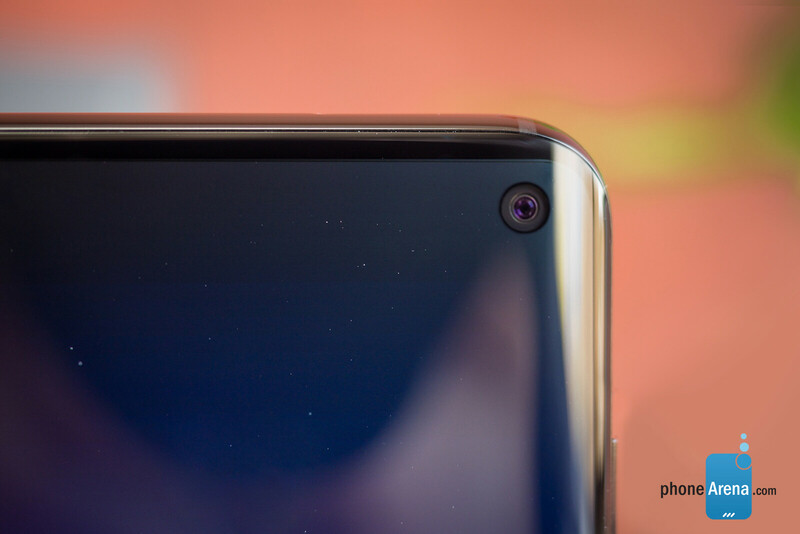 Much like the Galaxy S10+, the regular model is also set to include a triple-camera setup on the rear. This should include a 12-megapixel variable aperture sensor, a 16-megapixel alternative complete with a wide-angle lens, and a third 13-megapixel camera coupled with a telephoto lens that supports either 2x or 3x optical zoom. The smartphone will, however, lose its time-of-flight front camera leaving just a selfie sensor and a smaller display hole. As many of you will know by now, completing the Galaxy S10 series will be the budget Galaxy S10E. Previous leaks have pointed towards the presence of a 3,100mAh battery inside the device but, once again, today’s certification listing suggests that they were wrong. In fact, if the number is correct, Samsung’s smallest flagship will include a slightly smaller 3,000mAh pack. Much like the Galaxy S10+, this should still provide impressive battery life statistics. After all, it’ll include the same processor as the other devices but a much smaller 5.8-inch flat AMOLED display. The device will have fewer cameras to power too because it’s set to lose the telephoto one on the rear, leaving a modest yet impressive dual-camera setup in its place. As confirmed by Samsung itself, the Galaxy S10 series will go official on February 20th at an event in San Francisco. Here, the flagships are set to be joined by the company’s first foldable phone, the Galaxy Watch Active, two fitness trackers and a pair of wireless earbuds. Pre-orders for Galaxy S10 devices should start immediately after the event while the actual release should happen on March 8 or sometime around this date. 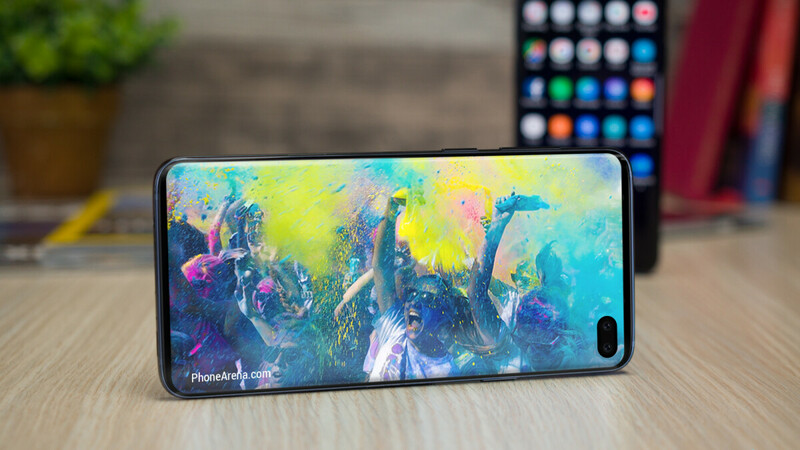 The Galaxy S10E should cost around $650, the Galaxy S10 may start at $850, while the larger Galaxy S10+ could be priced at $950. Disappointing in a way, but for the S10E, if it's 7-8mm shorter than the S9 (same 5.8" screen but much shorter bezels), the 3000 mAh it's a good battery size. So Samsung is announcing a new watch next month as well? I think the current watch came out in June... Hoping they release a new watch with the new phones though. Anything approaching $1000 needs 4000 mAh or higher for me to even consider it. That's just stupid. Battery management and software optimalisation is key. Why call someone stupid for simply having an opinion? His reason for it is stupid, a bigger battery doesn't mean it has better battery life. Still waiting for all those "supposedly coming " Battery tech we always read about on PA and other sites Like Cnet. Batteries that can be punctured without exploding, Batteries made of Graphite that will last for years, Batteries that will discharge so slow because one nano cell in it holds as much power as a whole 3000mAh lithium battery. Blah Blah Blah. Here we are in 2019 and all this Battery tech which was reported on way back in 2014 has no where even materialized. Samsung where is the Tech you have been working on for Batteries Shouldn't the S10 Come with some of this Tech by now. I really hope there is a surprise of this magnitude at their un-boxing event. Batteries is one of the slowest developing technologies, not only for phones but also for cars. Don't expect miracles. I agree. A lot of news about new battery technologies and still nothing on the table. The first company which will introduce a new battery type will most likely get the whole market. “smaller than first expected” Who expected? I mean all us wish this every year. Sad thing about news and readers these days. Random folks will put random nonsense on some blog. And tech sites report about each and every “rumor”. Every fan and troll gets excited about these rumors. Now when it falls short of expectations based on baseless rumors. Fans amd trolls get excited again. These phones are going to be amazing irrespective of the battery size. Cant wait for MWC. Sales are going to be smaller than expected too. Dont get so excited, no one knows what they will have. It's all rumors at this point. Sammy launches an intermediate with 5000mAh of battery and a flagship that consumes much more with 3000mAh ... Continuing with my Note 4 ..At least don't have a notch hole in the screen. Still bigger battery than XS Max.